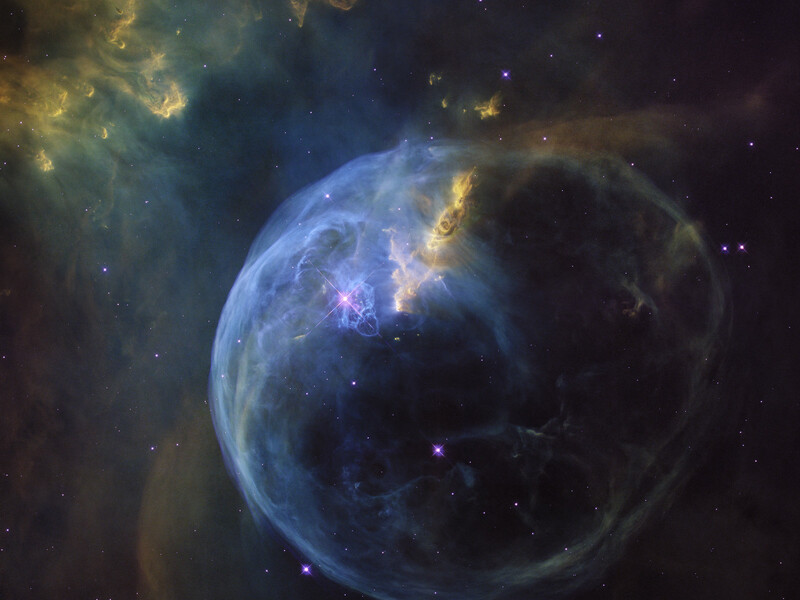 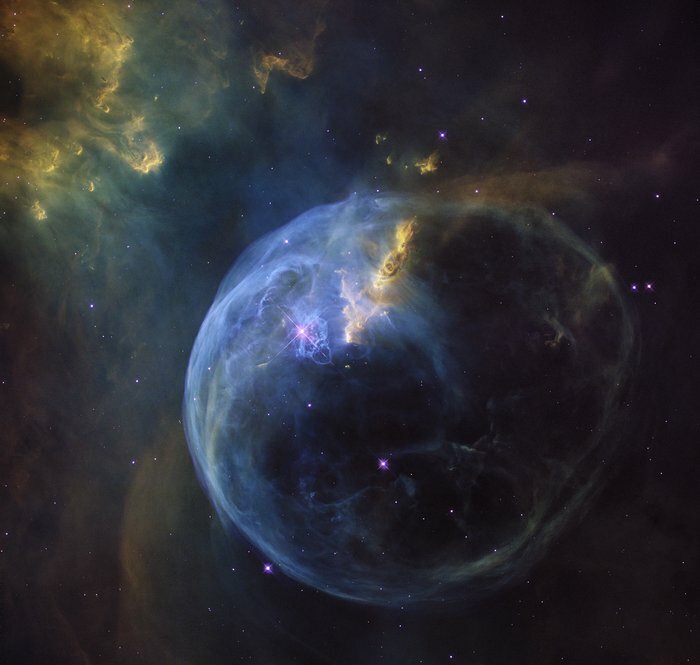 The Bubble Nebula, also known as NGC 7635, is an emission nebula located 8 000 light-years away. 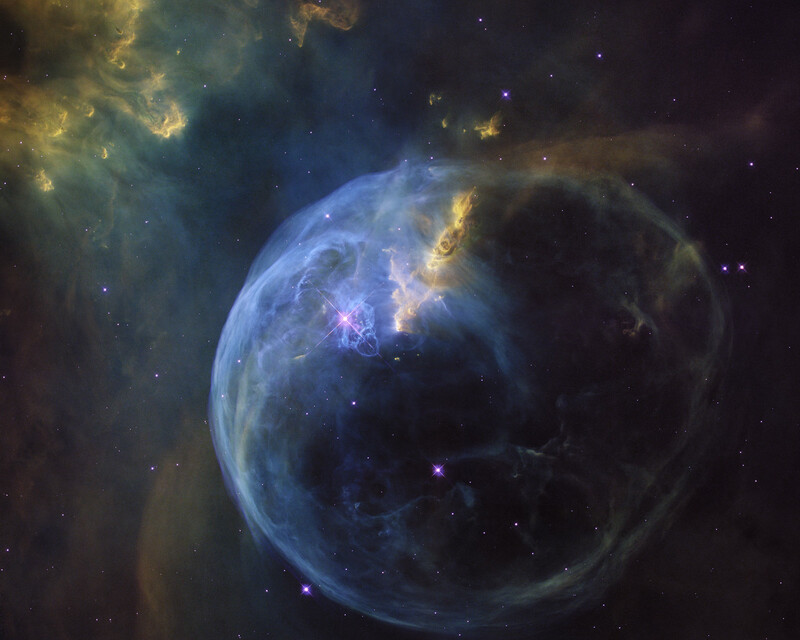 This stunning new image was observed by the NASA/ESA Hubble Space Telescope to celebrate its 26th year in space. 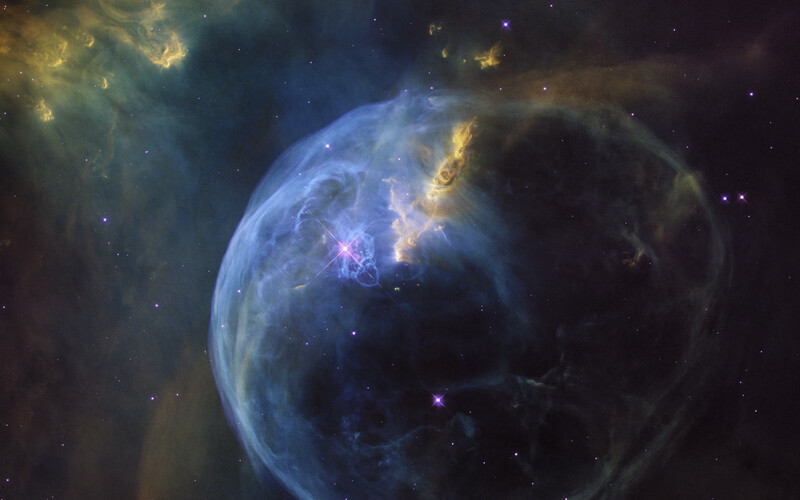 Position (Dec): 61° 11' 28.39"